What do we mean when we say a writer has a distinct voice? What does it mean to have a voice when you write? You already have a voice. It's beautiful, it's unique and it is distinctly yours. If someone reads your book or article or poetry, or hears your song, and recognizes who wrote it, often it is because of your distinct voice. Because you already have your own voice, your task is to bring it to the forefront and be who you are. Enjoying someone’s style and being inspired by the voice of another writer is a good thing, but we should never try to copy. It just doesn’t work. I like Erma Bombeck – I read her work a lot and I found that my most comfortable style was similar to hers. I call her voice - comfortable and inviting. I also like E.B. White’s Charlotte’s Web - I call his writing gentle, descriptive writing. I call Robert Munsch’s – dramatic, loud writing. There are so many different voices in writing. Remember we spoke about Louis L’Amour - the western writer? Think how his voice is vastly different than Stephen King's. Emily Post, if you remember, has more old style, refined writing. Remember Ann Voskamp’s new book – 1000 Gifts? She is a vulnerable and generous writer. Her voice implores the reader to share her pain and her purpose. Style and voice are important when writing. 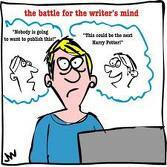 They both help define you as a writer and they set you apart from other authors. Beginning writers don’t necessarily have a defined voice when first starting out. - Write for a while – hard work and self-discovery – in my case lots of prayer, too! God what do you want me to do with my writing? 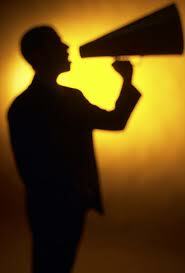 - Voice is born from a lot of words and a lot of work – rejection, refining, rewriting = reward! - Style is watching your use of adjectives and doing a few flashy things with alliteration. - For example, do you write in short, concise paragraphs or long, wordy sentences? - Do you use multiple viewpoints in creative writing or just one? A writer's style can be characterized by something as seemingly insignificant as punctuation or as obvious as point of view, but each writer's voice is unique. What do we think about when we think of Agatha Christie for example? Jane Goodall? The Junie B. Jones series? Veggie Tales? Amelia Bedelia? O Henry? - not every book that finds an audience will be able to bring the readers back for more of what you are saying or selling. - What is that? YOU! - How Do We Develop Our Voice? - You cannot be a successful writer if you don't read. - All writers read, and all good writers read a lot. - Read fiction, nonfiction, read in the genre you love, read outside of it. - start developing a hunger to write specific stories, because you'll come across areas where nobody is writing the kind of books you want to read. - write a sonnet, and some haiku, and a few limericks. - Remember the first rule of writing: Nothing you write is wasted. - You might produce your first saleable work completely outside of your previous area of specialization. - Make endless lists or get hold of a book or online that has story starters and play around with them. - Some of what you write might not be too good. - Now it's your turn...go find your voice!